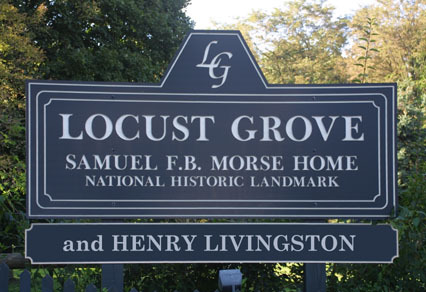 From the original patent of land running from Poughkeepsie south to the town of Clinton, to the 150 acres of land making up present day Locust Grove, Locust Grove has had a rich history. It has been speculation land, a working farm, the land of a gentleman farmer, a country estate and, now, an historical site. Henry Livingston raised two families under the large black locust trees of Locust Grove, the children of Sarah Welles and the children of Jane Paterson. Several of his first wife's siblings came to live with them, as did the occasional child in need of a guardian. 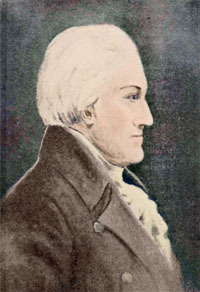 Although John Jay asked Egbert Benson to have his son Peter live with the Livingstons, we have no record of whether Peter ever came to stay. Although most of the help on Henry's farm was provided by day servants, he did have the occasional live-in help. WHAT DID THEY GROW AND EAT? From Henry's Day Book we can see what crops and livestock he raised. Though we have no recipes from Henry's family, we can assume that the recipes were not unlike those found in published cookbooks of the time, or those to be found in the same time period. Henry loved to bring articles of clothing into his poetry (remember the night cap and mama's kerchief from the Christmas poem! ), but they don't give us great details about his own taste in clothes. We can get an approximation to what would have been worn at Locust Grove by looking at what was worn in that same time period. Surprising though it may be, people did manage to have fun before the days of movies and television. Mostly, they entertained each other. It was more common to be able to play a music instrument then, so family sing alongs and concerts would have been frequent. And with so many children, and cousins, and friends, games for young people were always popular. Some of these games Henry mentions in his poems, such as Key and the Cushion, but we have no idea what the game rules were. One very popular game was the solving of a poetic rebus, which would produce the name of one of the young men or women at the gathering. Used as we are to fast cars and fast planes, it's amazing to read of someone bragging of a trip that averaged five whole miles an hour. To put ourselves back into Henry's time, we need to relax, close our eyes, and let life just slow itself down. WHAT IF THEY GOT SICK? One of Henry's friends from his military days, Peter Tappen, was a doctor, and Henry's oldest son of his second family, Charles Paterson Livingston, became a doctor. As an enthusiastic giver of advice, Henry wrote to Charles and to his grandson Sidney with suggestions for herbs and remedies. When you think of the great love Henry had for his land, it's so right that this historic site has put an emphasis on guiding you through its lanes and fields. Where later owners saw beauty in the created landscape, Henry's eyes were fixed on the creations of nature. You'll find so many sites of created and natural beauty on Henry's land and, best of all, benches to sit on while you contemplate them. A ring of posies and poetry from Locust Grove. For die-hard Northerners, a heavy blanket of snow and a whipping wind can be as beautiful as the softest whisper of a spring breeze. As a farmer, and as someone who hiked the surveying fields even in winter, Henry found the passion in nature and returned it with his own. Even if you aren't here when the "dry leaves before the wild hurricane fly," we're sure you'll find something of beauty in the seasons of this magnificent river land.